Some of our favorite road trips have been to capital cities. Often presented with a mix of history and social studies, capital city road trips are a civics lesson just waiting to unfold. 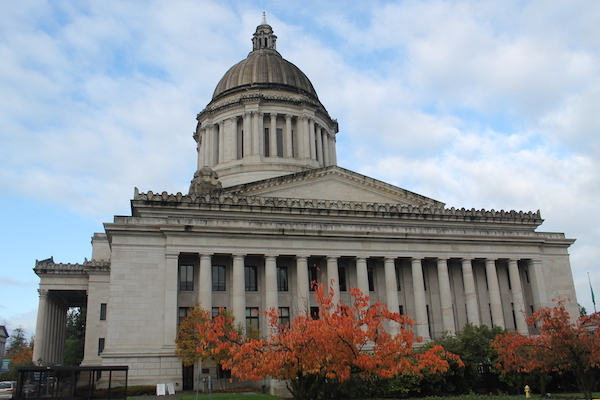 Start your Olympia exploration in the heart of the Capitol Complex at the state capitol building. Guided public tours are free and leave at the top of the hour, seven days a week between 10AM and 3PM (weekdays) and 11AM and 3PM (weekends). Tours run approximately fifty minutes and depart from the information desk on the second floor (just outside the main entrance). If you have a middle- or high-school student, ask for a copy of the A Student Guide to the Legislature booklet to carry with you throughout the tour. Located in historic Tumwater, Tumwater Falls Park marks the final journey of the Deschutes river into Capitol Lake. 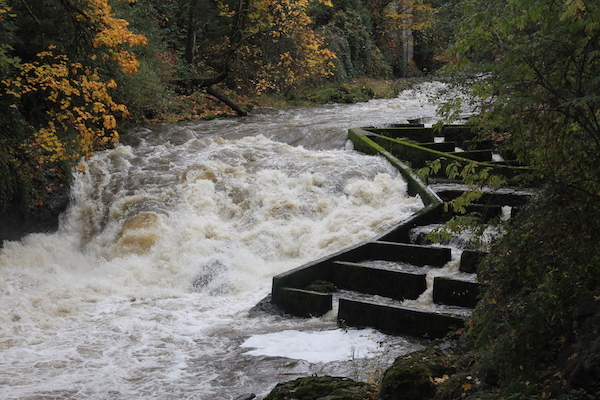 Dropping 82-feet, Tumwater Falls was roaring after recent rainfalls; fully demonstrating the importance of a series of man-made fish ladders used by salmon swimming upstream to spawn. If you go, leave time to walk along the paved path on either side of the river (you can cross over the river on a pedestrian bridge located a short distance down river from the main parking lot). If the weather is nice, enjoy the picnic facilities and clever little playground. 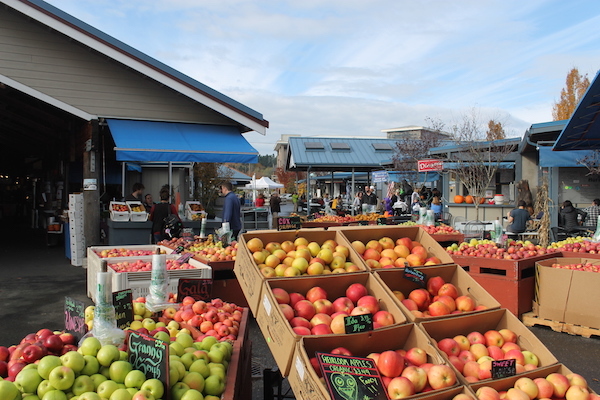 A community mainstay for the past 41 growing seasons, the Olympia Farmers Market welcomes visitors between the hours of 10AM and 3PM (days vary based on the season). Featuring a combination of permanent indoor stalls and outdoor stands, visitors can shop for local and seasonal produce, meat, and handmade items. To extend the visit, meander over to the Port of Olympia Plaza as well as the shops along Market Street. 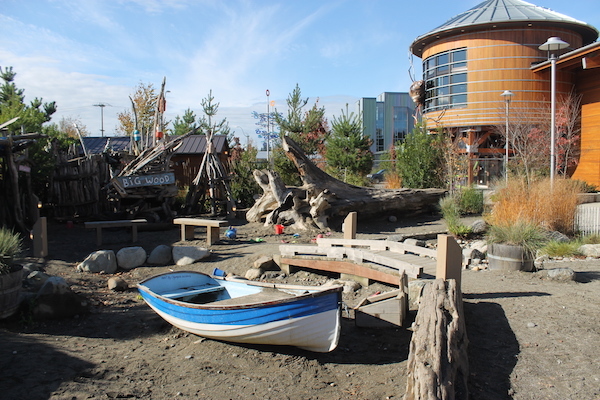 One of the best Children’s Museum’s we’ve encountered in the Continental United States, Hands On Childen’s Museum is a must visit if you have toddlers and elementary-age kids. Exhibits are distributed across two floors (indoors) and extend into a large Outdoor Discovery Center (make sure to borrow a tricycle and helmet from the Trike Depot). We enjoyed making a stop-motion video using clay and string in the large Arts & Parts Studio. If you visit in the heat of the summer, look for the manmade stream and water play features in the East Bay Public Plaza running along Olympia Avenue. Opposite the Hands On Children’s Museum and an extension of the East Bay Public Plaza, the WET Science Center is located on the first floor of the LOTT Clean Water Alliance building at the intersection of Adams Street and Olympia Avenue. 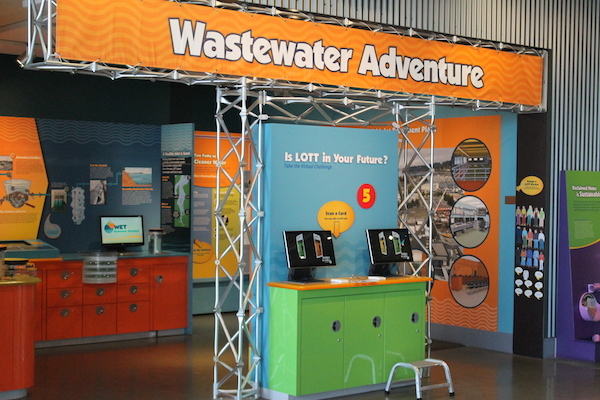 Exhibits, events, and activities are focused on water conservation, wastewater treatment, and reclaimed water use, clean water careers, and protecting the Puget Sound. The WET Science Center was my personal favorite “surprise” find of our entire trip and (best of all) admission is free! 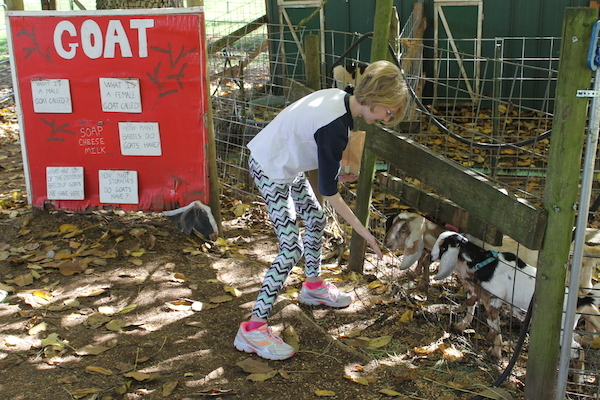 Visiting Olympia in the heart of fall, we were thrilled to discover Lattin’s Country Cider Mill and Farm. Enjoying hot apple cider and apple fritters, we purchased bags of animal feed and meandered around the property visiting goats, pigs, chickens, and other critters. The property also features a pumpkin patch, tractor rides, and food carts (not open for business during our weekday visit). Alternately, Schilter Family Farm offers families a corn maze, pumpkin cannon, hay jump, and more pumpkins in a patch. We discovered Squaxin Island Museum Library and Research Center somewhat by accident. Initially seeking out the fall salmon spawning at the Kennedy Creek Salmon Trail, we found the forest service road closed due to flooding. Continuing along US 101 in the direction of Shelton, we spotted a brown “museum” sign and ended up at the building in the photo above. 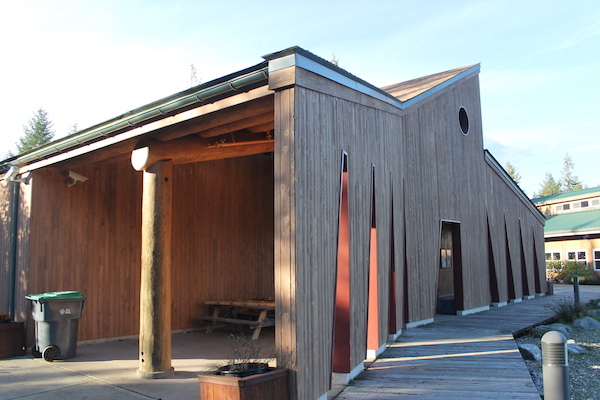 As the name implies, the facility is a museum, library, and research center (interior photography is prohibited) centered around the Squaxin Island Tribal members and the seven inlets of South Puget Sound. 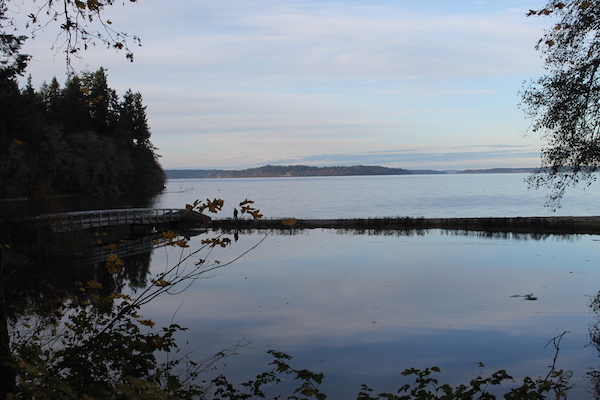 “Tolmie State Park is a 105-acre marine day-use park with 1,800 feet of saltwater shoreline on Puget Sound. This forested park is on Nisqually Beach a few miles from Olympia, the state’s capital city.” Families visiting the park for the first time can enjoy a picnic area, stone beach, and three miles of hiking trails. If you are visiting from out of state, you will need to purchase a Discover Pass ($10 for the day or $30 for the calendar year). We found Tolmie State Park a bit confusing to locate; make sure you have a GPS or clear printed directions as it is nestled deep into North Olympia suburbia. 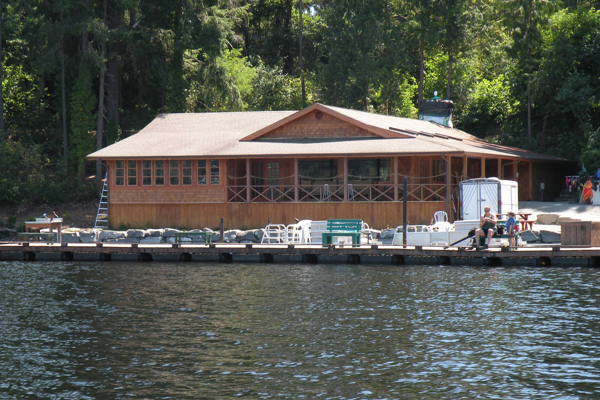 A warm-weather favorite, families have been frequenting the Lady of the Lake Public House in Tenino since the 1930s. Nestled on the shores of Offut Lake, patrons can enjoy a burger and a beer on the porch, fish for freshly stocked trout, or rent a rowboat or kayak. 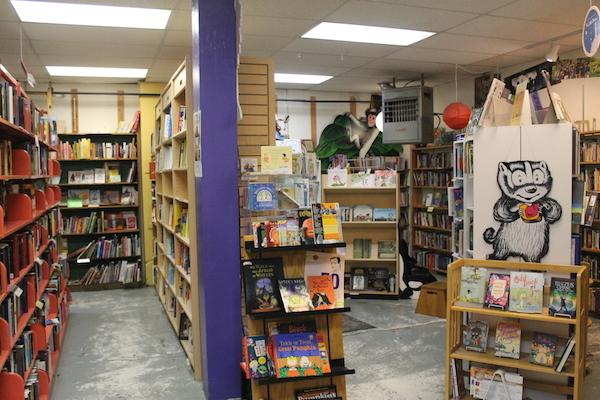 We love visiting independent bookstores as we meander our way around the United States. Olympia has two options within walking distance in the downtown shopping district, Orca Books and Browers Bookshop. The above photo was taken in the children’s corner at Orca Books; we also enjoyed meeting Orlando, the bookstore cat. While in Olympia, we enjoyed two nights at the Hilton Garden Inn, a relatively new property located minutes from the Capital Campus. 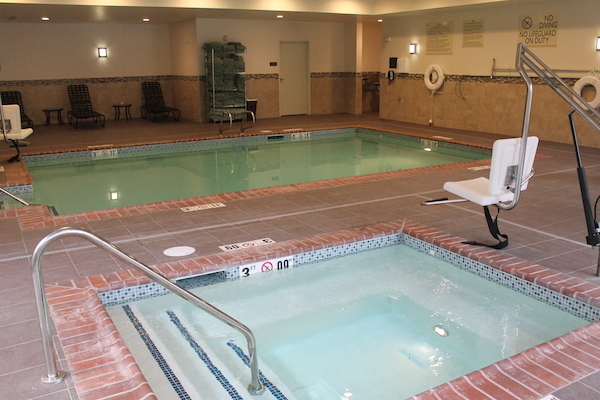 A modern and clean facility, we spent a bit of time in the swimming pool and spa. The property is also a short walk from the network of trails at Watershed Park. 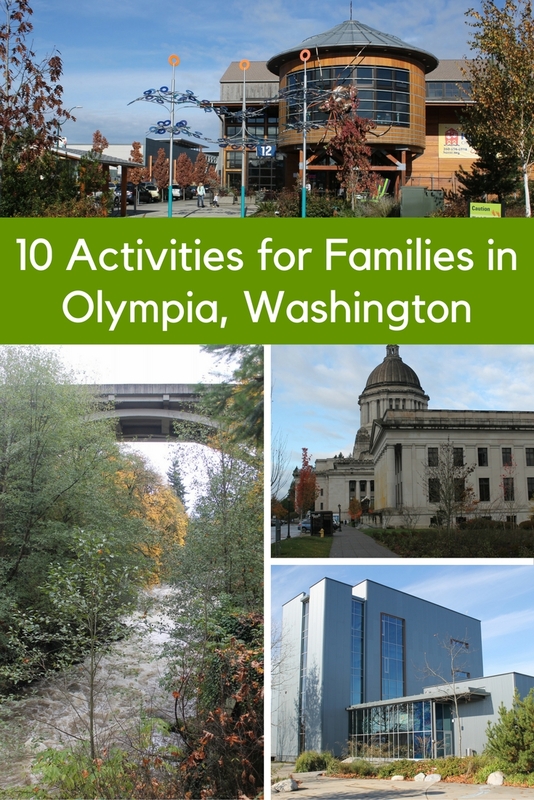 For more ideas on planning your own family vacation in Olympia, Washington, consult VisitOlympia.com. This really makes me want to take the time to detour off I-5 and check out Olympia. Beautiful photo of the lake with the Capitol building in the background.